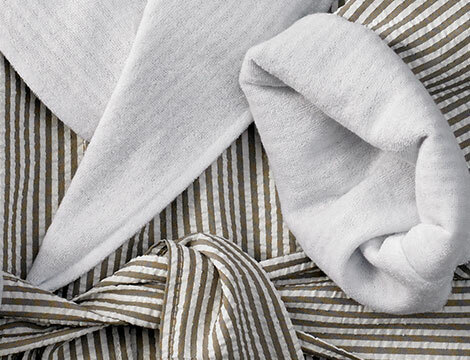 We’ve always wondered where the name “seersucker” comes from. 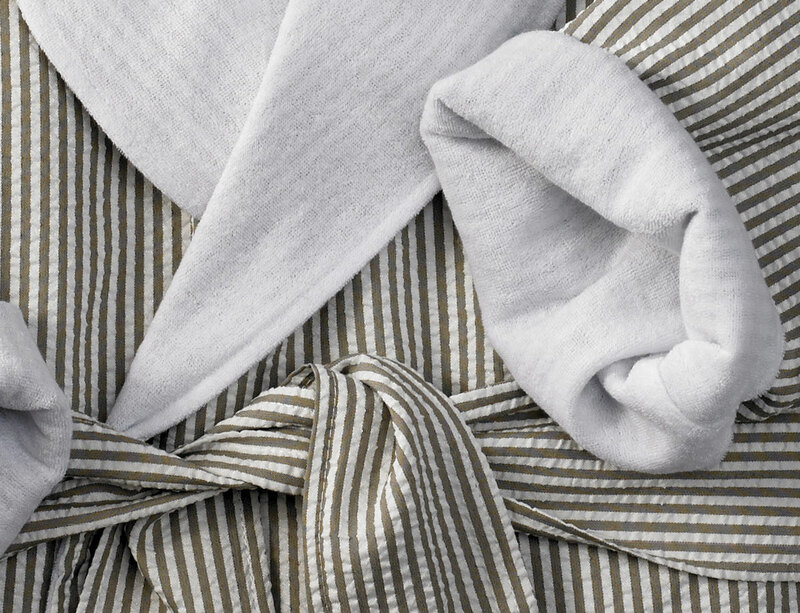 Turns out it’s a Persian phrase meaning “milk and sugar” owing to the fabric’s smooth and lumpy stripes. 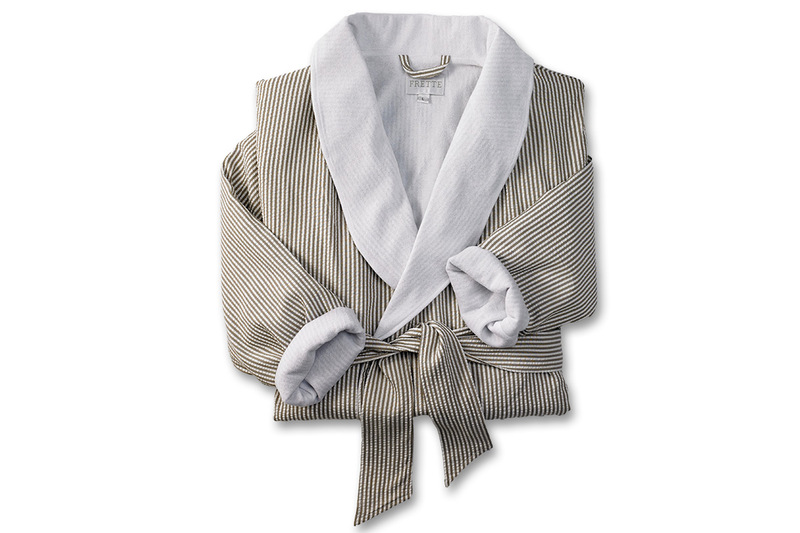 And if, like us, you enjoy the way seersucker lays so cool and breathable on your skin, then Kimpton’s Taupe Seersucker Robe is for you. 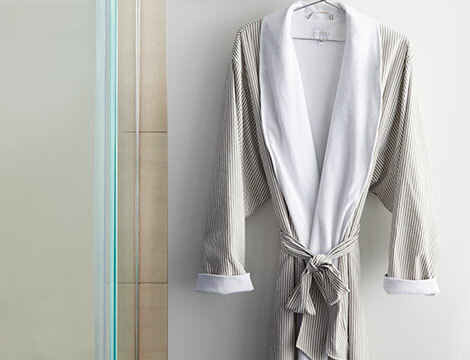 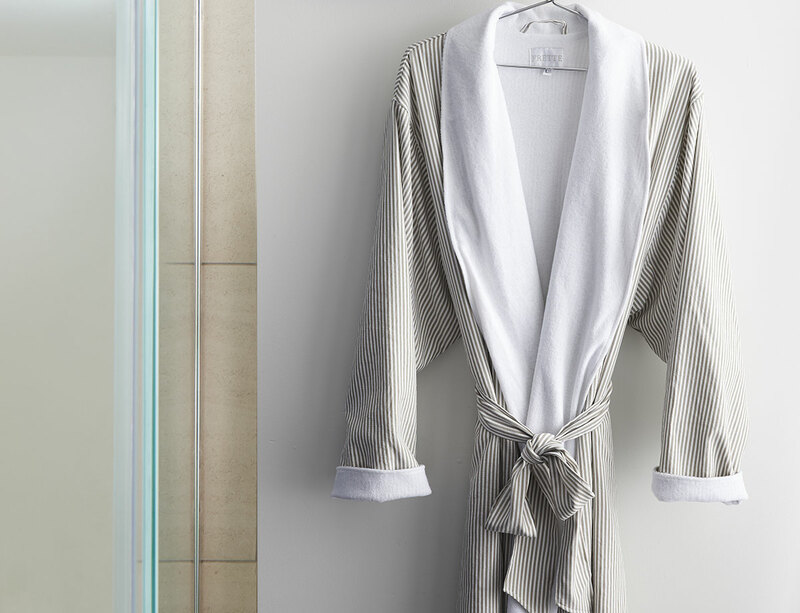 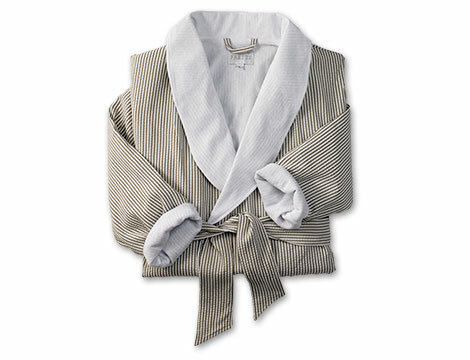 Crafted by legendary fine linens purveyor Frette, this hotel robe is soft inside and out, with a microfiber seersucker shell and microfiber terry lining.